What if we told you the famous line, "Warriors, come out to play," is actually an unscripted, totally ad-libbed movie line? In this list, we're going to focus on the magic that strikes during production. It's when the right actor has just the right instinct at the right moment and creates something iconic. The actor says a line that becomes larger than the script, larger than the moment, and sometimes represents the entire movie. Movies are an incredibly huge undertaking. It takes a village (or an army, depending on who you ask) to make a film. They say you make a film three times: once in pre-production, again while you're filming, and finally while you're editing. At any of these points, lightning can strike and completely change the course of the film. 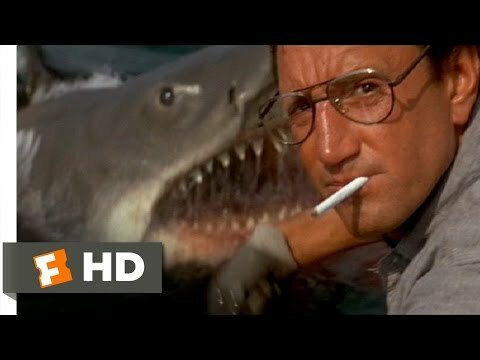 This is a collection of famous, originally unscripted, dialogue in classic films. Those one-in-a-million pieces of magic where a line struck all the right chords and became legendary. In this scene, there was no specific dialogue. The script merely said, Travis talks to himself in the mirror. 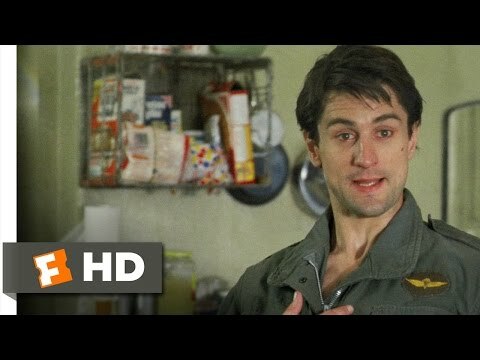 Every single thing that Travis Bickle (Robert De Niro) says during his insane conversation with himself in the mirror was improvised by De Niro. 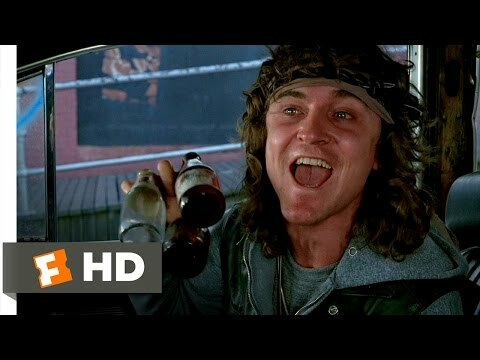 All the script called for was Luther (David Patrick Kelly), leader of the vicious New York gang the Rogues to drive up and provoke the Warriors to a fight in the streets by clinking bottles together. Kelly then ad-libbed the most famous line in the film, "Warriors, come out to play!" This entire scene was apparently made up as they went along. 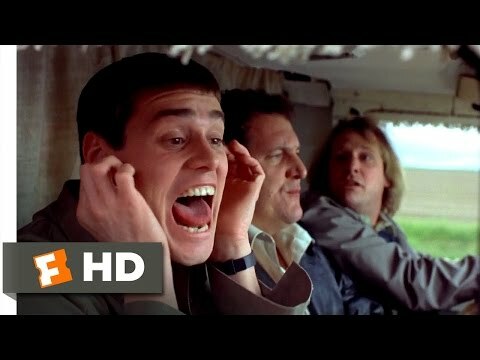 In truth, Mike Starr, the actor getting his ears screamed into, can't tolerate loud noises in real life. So, not only are Jim Carrey and Jeff Daniels's lines and obnoxiousness all improvised, but Starr's reactions to them are completely genuine as well.